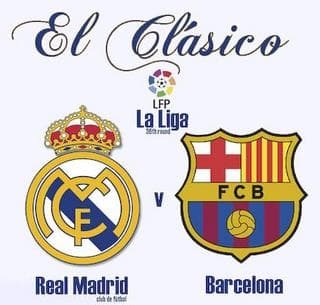 El Clasico between Spanish La Liga giants Barcelona and Real Madrid is the headline act on Saturday 26 October 2013 but the best bet is Derby to beat Birmingham in the English Championship at odds of 1.83 with Coral. Derby is two and a bit matches into Steve McClaren’s reign and the Rams have picked up their form considerably since Nigel Clough exited Pride Park and the former England boss assumed control. McClaren’s unofficial half-time pep talk inspired Derby to fight back from 1-4 down to draw 4-4 against Ipswich and his two full games in charge have resulted in a 3-1 home victory over Leeds and a 3-2 away triumph over one of the promotion favourites, Watford. Under McClaren it appears that Derby is a team to follow, at least in the short to medium term while the ex-England coach enjoys a honeymoon period. On the other hand, it seems that Birmingham is a side to oppose for the foreseeable future, with Lee Clark’s reputation as a manager on the rise being dealt hammer blow after hammer blow and Blues having little in the way of money to spend on improving their squad. It is looking increasingly likely that Birmingham will only survive in the English Championship because there are three teams even worse than it. Birmingham is averaging less than one point per match and, since defeating Yeovil 1-0 on the second weekend of the season, it has lost each of its next five away games, the last four of them without scoring. Admittedly, Birmingham’s recent road trips have been to five of the English Championship’s top nine – Burnley, Leicester, Leeds, Queens Park Rangers and Reading – but its displays have been so poor that one cannot use the high rankings of its opponents as a get-out-of-jail excuse. Remember, this is a side that lost its last home match 0-1 versus Bolton. Both Derby and Birmingham have played Leeds in the last few weeks. On a line through Leeds, Derby is vastly superior to Birmingham and then there is the small matter of the Rams facing Blues at home. Derby is the pick of the coupon. Reading has a tendency to run around at silly odds for its English Championship home games but BetVictor’s offer of 1.75 about the Royals beating Millwall is more than fair. Reading is undefeated at the Madejski Stadium this season, with wins over Birmingham, Doncaster, Ipswich and Leeds, plus draws with Brighton and Watford. One has every right to be wary of backing Reading at short odds against divisional heavyweights but, generally speaking, the Royals get the job done against the lightweights. Millwall is 18th on the English Championship ladder and its last two away matches have resulted in two thrashings – 0-4 at Birmingham and 2-5 at Bournemouth. Back Reading to stay in the promotion hunt. Leyton Orient finally lost its first English League One game of the term when it went down 1-3 away to Coventry but the Os are good value at odds of 1.95 with Coral to return to winning ways versus Rotherham. Bookmakers are continuing to underestimate Leyton Orient because it is one of London’s unfashionable teams but Russell Slade has the Os playing a great brand of football and the results speak for themselves. Leyton Orient has accrued 13 home points from a possible 15, with its only slip up happening a determined Walsall side that is developing a reputation for being one of the division’s best road teams. Rotherham’s form has dropped off over the last few weeks, including an ordinary 1-1 home draw with Tranmere. Leyton Orient had crushed Tranmere 4-0 on the Wirral only three days earlier. Bury sacked Kevin Blackwell a couple of weeks ago but the Shakers have not improved since then and they look worth opposing when they travel to Wycombe. Bury has lost six and drawn three of its last nine matches across all competitions and it has failed to score in each of its last four games. Wycombe is one of English League Two’s form sides and the Wanderers are likely to continue on their upward curve and position themselves right in the thick of the promotion race. Wycombe is available at odds of 2.30 with BetVictor. If one must bet on El Clasico, the most sensible option is probably a bet on both teams to score at odds of 1.53 with Boylesports. Both Barcelona and Real Madrid are considerably better attacking than defending and each of the last 13 El Clasicos have seen both sides find the back of the net.